Your Riverside Committee is hard at work responding to the imminent development proposal at the Riverside MBTA station. The Land Use Committee of the Newton City Council welcomed our comments in response to the Mark Development presentation on March 14th. View these slides and download the text of our comments to read the words that were spoken with the the slides. A video of the entire 3.5 hour meeting a can be viewed on the NewTV website. Donate to fund the legal, traffic, public relations. and other professional services we need now to defend our neighborhood. What you need to know --and what you can do--about the proposed development at Riverside. Click here for the latest Lowdown! 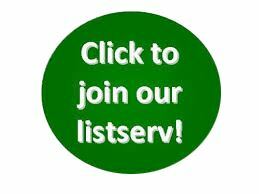 Click here to view our neighborhood vendor list. The objectives of this association shall be to promote the neighborly interests of its members; to foster community spirit; and to do such things as may be appropriate or necessary to accomplish civic improvement. Its attitude shall be at all times strictly non-partisan, non-political and non-sectarian.